Recently, a solventless separation technique is attracting more and more followers for both the easiness and low cost of the method and the quality of the final product. We are talking about Rosin hash, a concentrate obtained from separating the resin from the green matter through heat and pressure. We’ll make a demonstration of this technique so you can see how easy it is, and the excellent results that we can obtain if we do it correctly, a top-grade concentrate, 100% dabable and with a taste pretty similar to BHO . As mentioned before, the basic principle of this technique is applying pressure and heat to the green matter, so in few seconds the resin is separated from the buds forming small drops. As usual, safety comes first, so we recommend you to wear protective gloves (oven mitts, etc.) during the process, or wrapping the hair straightener with a cloth to protect your hands from burns. Fold a piece of parchment paper or Slick Sheet paper and insert the bud in the center of the paper, wrapping the plant matter with it. Next, pre-heat the hair straightener; we made our first test at 160ºC (320ºF). Once it reaches the selected temperature, gently place the wrapped bud between both plates and apply strong pressure for a few seconds (2-5). Depending on the temperature and time of exposure to heat and pressure, we’ll have more or less return (and, also, higher or lesser quality). The higher the temperature and the more time of pressure, the more terpenes and cannabinoids will be vaporised, but the higher the yields. It is about finding the balance that best suits our demands. While we are pressing, we’ll suddently hear a crunch; that’s when we have to stop pressing and remove the paper with the marijuana bud from the straightener. Once we unfold the paper, we’ll se the crushed bud surrounded by tiny resin drops. 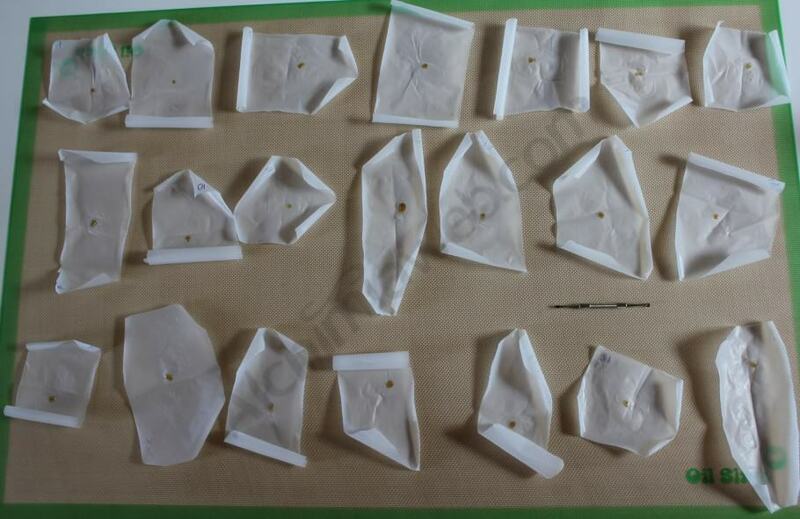 We remove the bud and are ready to collect our resin pearl. Some people make a QWISO extraction with the remaining buds – an extraction technique which uses isopropyl alcohol that we’ll discuss in a following article – or prepare a delicious cannabis butter. Freezing the paper with the resin greatly helps to remove it with a razor blade or needle (also frozen). Once we have everything frozen, scrape the resin to collect it. We are done! The final product is much cleaner than other resin solventless separations, competing with renowned solvent extractions like BHO in terms of appearance, taste and effect. The yields are around 10-20%; as we already mentioned, they mainly depend on strains, temperature and pressure and the time of exposure. 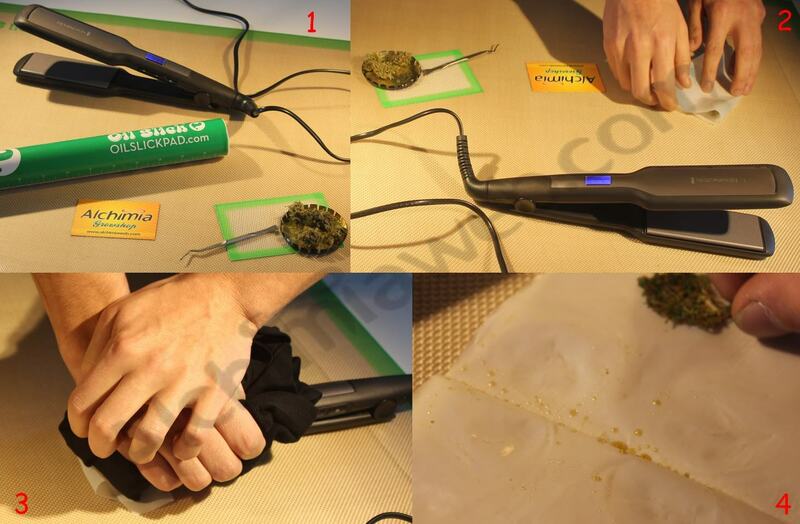 For this post we have used Amnesika 2.0 buds – from Philosopher Seeds – a temperature of 160ºC (320ºF) and strong pressure for about 5 seconds, with the hair straightener onto a hard surface and pressing with all our weight. The first attemps with this technique were mainly performed by pressing with hair straighteners, although as we can see on the different social networks the technique is already being upgraded to process more buds at once by using t-shirt presses. We have performed a Rosin test by making different extractions of the Jack el Frutero marijuana from Philosopher Seeds. We used different temperatures and pressing times, and also different bud sizes/weights. After all the extractions were ready, we made a tasting using a bubbler and a dabber. According to our results, the best product is obtained at 150ºC, with a 4-6 second pressure and using 0.25gr samples in each run. Amount of weed to use: We started pressing 1gr buds, bud yields were poor. We tried with 0.5gr buds, improving the results. After this, we tried with 0.25gr samples and, in this case, the yields increased significantly, exceeding 10%. Temperature: Our straightener has adjustable temperature settings (10ºC range), being 150ºC the minimum temperature. The higher the temperature, the more terpenes and cannabinoids will be vaporised during the extraction. From 170ºC the quality drops drastically. We also tried to set the temperature to 150ºC and switch off the device for a few seconds, to work with a lower temperature. Still, yields descreased, so 150ºC was the most suitable temperature to work with, offering a nice quality-yield balance. Pressing time: Pressing for a short time won’t give any yield of Rosin Hash. On the other hand, pressing for too much time will cause the vaporisation of the active and aromatic principles of the cannabis samples, what reduces the quality of the final product. We observed that best results came when pressing for 4-6 seconds. You only have to wait until listening a subtle crunch to stop pressing. If you see vapour coming from the sample or smell like vaporised weed, then you are pressing too long (or temperature is too high). 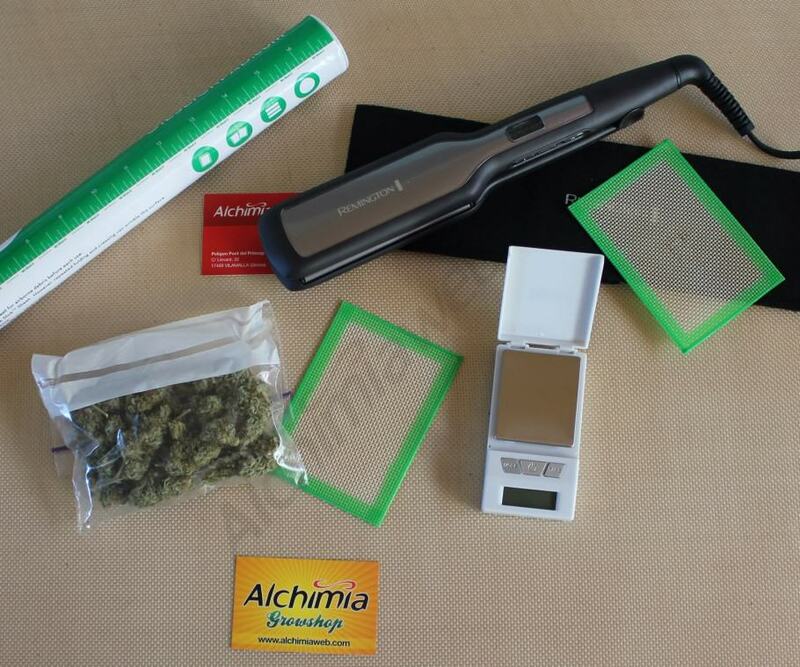 Of course, these parameters may vary depending on your straightener, marijuana strain , drying grade and pressure. If we have a quality hair straightener there’s no need to make strong pressure, but pressing firmly is enough, always protecting your hands. If two persons perform the operation everything is much easier: one can hold the cannabis sample while the other presses it. We recommend using a straightener with long and wide plates. 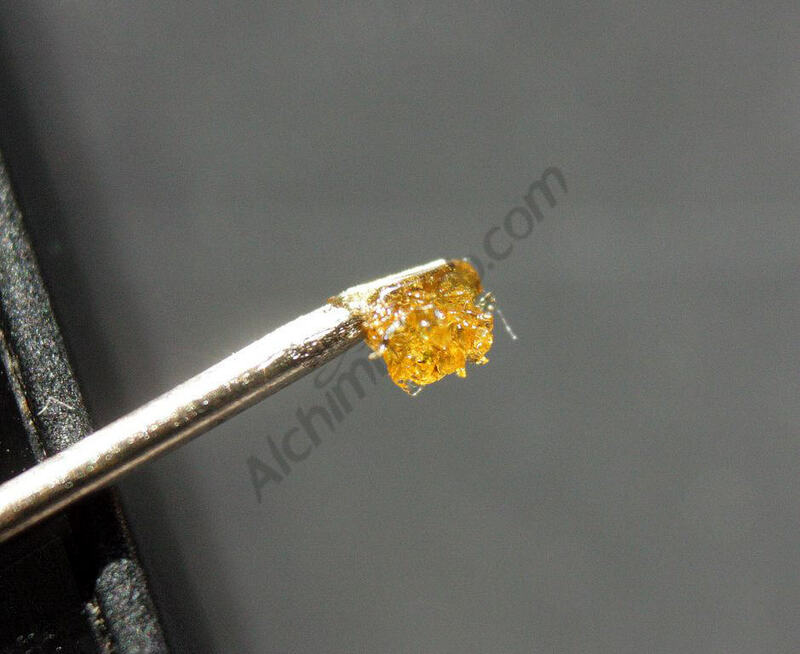 We were surprised by the high quality of this concentrate, being pretty close to BHO extractions . Although in some samples there is a slight undertaste of vaporised weed, the overall opinion is that both the smell and taste are good enough to satisfy the user. We also tried to make a second run with the pressed buds: although a very small amount of Rosin can be reclaimed, the quality is clearly lower than the first run; the sample contains more plant debris and the taste is slightly “toasted”. You can also rosin your homemade hash to purify and concentrate it, either if it is dry sieved or made with water (bubblehash). To make a Rosin extraction from hash, you only have to press it wrapped in a 25 micron mesh and reclaim the return. Rosin Extraction. Tutorial video from Alchimia Grow Shop on Vimeo. We wish you happy concentrates! Thanks this sounds easy to make. is the resin suitable for making an e-juice for vaping? I read that most people use some kind of alcohol (isopropyl, …) after decarboxylation to make a Vg/Pg mix. I guess that would facilitate the blending process. Hope it helped, and please keep us informed on your experiments! I’ve been experimenting in rosin but results are somewhat confusing. I’m using a t-shirt press but getting poor yields. My question what factors affect the rosin production the most. I do know that moisture content is important. The other suspect is amount of pressure. how much does it take? Is the pressure from a run of the mill t-shirt press is enough? I’m using stainless steel screens, temps of 250F for keif and 300-350F for flower. I have to do a lot of presses to get most of the oil out and it just gets burned thru that process. basically, i need some expert advice on which factors i need to focus. Perhaps, I got the wrong press? thanks in advance. As happens with any cannabis concentrate, yields firstly depend on the amount of resin contained on the plant matter. Temperatures normally oscillate between 120ºC and 160ºC (250-300F). Pressing times are between 3-10 seconds. One thing we noticed during our tests is that small buds yielded better than bigger ones, I guess because the more bud surface in contact with the press, the better. Lower temps will yield a more tasty and clear product, while higher temps yield a more sappy, dark product. Press until you hear a sizzle; once you hear it, remove the parchment paper and the bud. You can move the bud to another spot and press again for a second run, which will have a more toasted flavour. Your press should be more than enough to make rosin, try using smaller buds from top grade material. Even if flowers are “too dry” they will produce rosin when pressed, although the drier they are the more plant debris can contaminate the concentrate. In my Mav glass rig my rosin is all balled up in the water instead of caking on the sides. I was curious if I extract that out of my dog can I just smoke it as reclaim after its dried out? Can this be done with charas ? Sure it can!! Apart from extracting directly from buds, people here are starting to rosin moroccan hash, getting a much better product than the average import hash. For best quality, look for very high pressure and low temps, around 100-120ºC. If you make rosin from hash, it is not strange it is acquires a hard consistency. It means you’ve removed all the fatty mater and have now only cannabinoids and terpenes. Making rosin with hash is similar to the dewaxing process performed for solvent extracts. If you try different temps (100-120C/212-248F) you’ll notice differences in the texture and consistency of the final product. We have realised that 160C/320F is way too hot, lower temps yield a much better product with incredible, pure taste. What sort of returns are ya getting from Moroccan hash, and what size of a press are ya using? Im thinking about getting a 20 tonne press. I’ve heard of up to 60% returns when using moroccan hash. Best rosin is made with extreme pressure and relatively low temperatures, between 100 and 120C (212-248F), so I guess a 20 tonne press will work really well. Glad to read that, tim!! is the pot you press worth anything after the process ? While there is people that smoke it, it smells and tastes awfully, like weed that has already been vaped. I did exactly as you explain a few weeks ago, but used Ethanol instead of isopropyl. The result was amazing, you’ll see it soon in one of our next articles. When pressig rub, should I use parchment just like when im pressing bud? Don’t press import hash! It’s nearly always contaminated. Don’t buy it or smoke it at all! While it is true that import hash is often contaminated, pressing it will surely yield a much better product. Still, I agree with you, most import hash is of very low quality and many times it’s not worth it at all. Why does the Rosin I made that looks slightly darker than most of the images here taste like I am smoking it? I am using 2 different wax vaporizers to test, a cheap Skycloud Wax Pen (rubbish) and the latest Atmos Kiln Kit which is a very good new ceramic kiln set up which should produce great results. I believe it is vaporizing and not combustion but it tastes like it is smoke and not vapor, I feel like I just puffed on a cigar or a cigarette it’s very disappointing taste wise. I put it down to pressing it in the hair straightener (at 150C) for too long. 8-10 seconds as this was yielding the most rosin, less time would result in very small amounts. I think maybe I have burnt it or somehow and ruined the flavor by over doing the press time? Any ideas, I keep reading how nice it tastes, not the case here. I will say this, I let someone close to me that doesn’t normally have anything to do with weed have a puff on the Kiln Pen and they went into a complete freakout panic fit, oh my god mode. It really is super strong and does the trick but tastes Horrible! I figure 5 seconds on the press and only once maybe twice per bud, no more. My mistakes were too long on the press and redoing them 3-4 times each. Great results for 1st attempt but crap flavor. Anyone else had this problem? From my experience, 150ºC is ok if you’re looking for yield, but far too hot if you want good taste. Lower temps (100-120ºC) and lots of pressure work much better, especially in regard with taste. Last rosin I made was from dry sift, 20 seconds at 100ºC and it tasted lovely. The effects of cannabis (and dabbing) mainly depend on users. What I mean is: dabbing everyday is ok as long as it allows you to live your life normally. I would say dabbing is safer than smoking, since dab smokers really put much less smoke in their lungs than regular smokers. On the other hand, you are using a more potent product than weed or import hash. To me, it’s all about finding the correct balance between pleasure and daily activities and responsabilities. 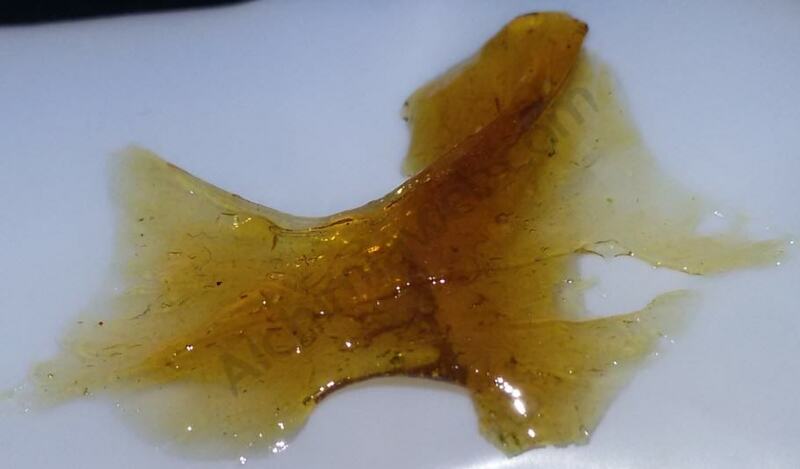 If you rosin your hash you are getting rid of fatty acids, but also of lots of contaminants. 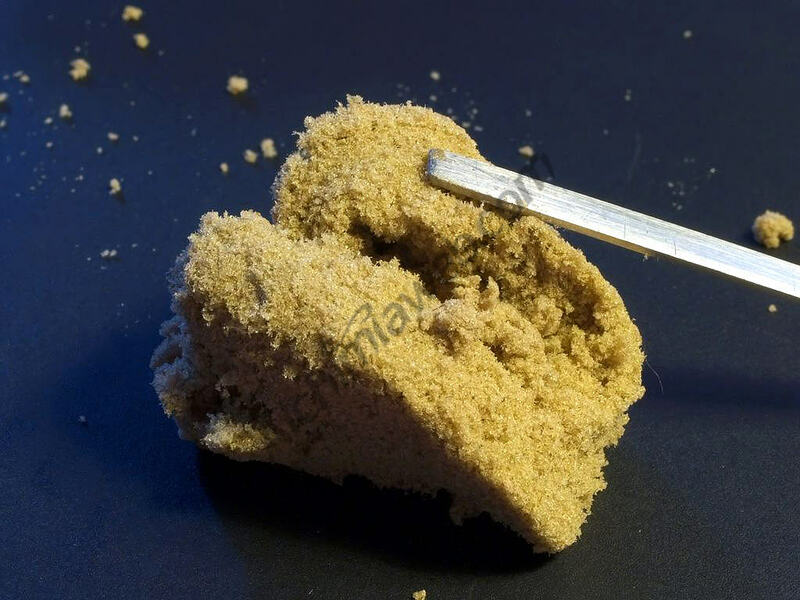 If we talk about moroccan hash, it will surely yield a more pure product than the raw material, which is normally contaminated with plant debris and dust (among other substances). Thanks until the uk is like colarado not got much choice yea I work evry day I don’t have dabs till the eavning but I smoke a few joints thro the day I function fine but then I bin smoking dope for 40 years so. It could be possible that the hash had some type of adulterant (honey, wax, etc) that cause these sparks. 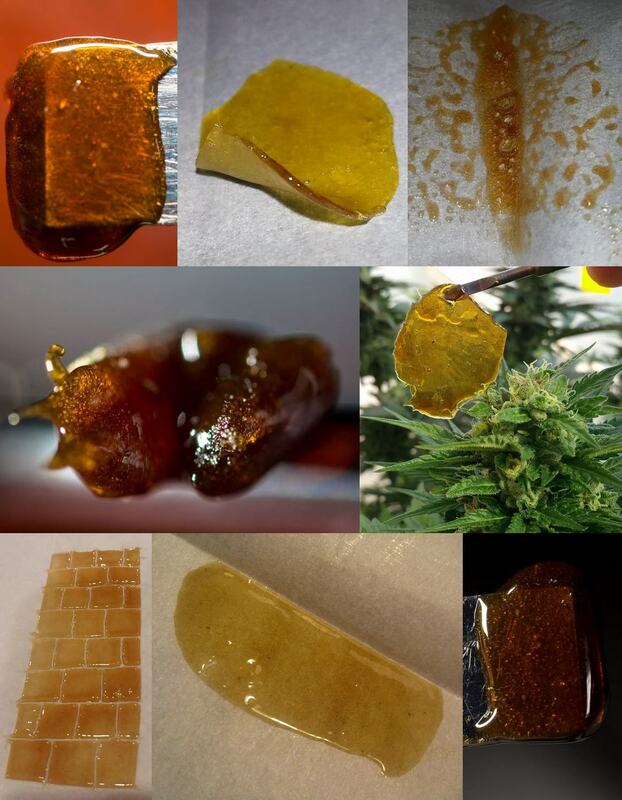 Lately, we are seeing lots of “jelly hash” coming from morocco, dry sifted resin mixed with poor quality solvent concentrates. If you had hash of this type, then the sparks probably come from the solvent concentrate used to blend the resin. making rosin from bubblehash, rather that using all the filters the idea was just the 220 to remove plant material, and just the 25 micron full mesh bag. and pressing the end product. Any thoughts ether way? Thank you. Sounds pretty good! If you’d tell me that you’re going to enter some cup, I’d definitely suggest to make the best possible bubblehash and then rosin it, but if it is for your personal use your technique will yield more product and with a wider terpene profile (I’d add the 190 bag though, you’ll have much less plant material being pressed and heated). I will use the 190 next time. Yes I see with just the 25, I can see the 25-micro tea bag needs the coffee filter inserted in hopes to keep out the plant material. Still tasted well just amber – opaque-clay looking (lol). Used a modified hair straightener strengthened and epoxied to plates and mounted in a vise. The next run will press once, and then low temp ISO bath with for the second round. Im so excited to try this! I am going to use two pieces of scrap aluminmim and put them in them in the oven and then place them on my half ton arbour press! Simple free and fast!! This will make my mct oil daaaankkkk AF and solvent free (was using bho) love having so many resources. Not like the good old days. Thank you to the OP!! Glad you liked the article! Remember to check the temperature of your aluminium pieces before pressing, you don’t want to press above 120ºC!! Hi dan i want to know witch types of press you recommand i was looking at a pneumatic heating press 13000psi 3.5 tons i think not sure ! From what I know, pneumatic presses are the best choice for optimal yields and quality. They have the disadvantages of needing an air compressor to operate and being normally quite expensive, but results speak for themselves. If you can afford it, go for a pneumatic press!! Have you tried to fold the parchment paper so that the rosin bits are stuck together? Also, you can try with a frozen dabber, this usually works great. Hi, just got done making a 20 ton press. Stainless plates machined my self, with 1 1/2″ heated backing plates. I see temps on here, and you say 20 seconds for dry sift. How much time do you think i should press high quality buds for? And can i press right on the stainless or should i use the paper? Thanks for the info, will be my first press this weekend! Hi Ken, thanks for your comment, apologies for the delay in responding. First off, congratulations on your new press, well done! Now, you most definitely want to use parchment paper to press your buds, rather than pressing directly on the steel plates. Many extractors even use two layers of parchment, one to contain and collect the rosin, and a second layer to help keep the plates clean and free from extruded oil, otherwise things can get very messy indeed! Secondly, the time and temperature setting will vary for each press and also with each different strain. The temperatures and times mentioned in this post are based on using a hair straightener. Things will be a little different if you’re using a 20 ton press, the extra pressure means you can get away with pressing at lower temperatures and for longer times. Personally I’d start by pressing buds at around 90ºC for one minute and see what you get. If you see the pressed buds are still shiny with oil, try pressing for longer or increasing the temperature slightly, or if the oil tastes or smells like burnt popcorn, press for less time or at a lower temperature. Trial and error are the best methods of learning how the different factors affect the final product. I hope that helps. Good luck and happy pressing! How many grams of flower does it take to make one gram of rosin? Well, if using the same equipment and technique, it all depends on the strain pressed. Some strains may yield around 10%, while others may yield 20% or more. As an average, I’d say around 6-7g of bud to make 1g of rosin. What paper are you using? It is a bit tricky at first, but with a little practice it’s easy. You can either fold the paper so your bits of rosin come together, and then unfold it quickly, or use a dabber and collect the rosin with it. Normally, the colder the better. More of a hash base i find to be a better high.. Like a 80/20.. It tastes better, less harsh and it lasts longer and the high is super nice!!! Great information!……on a different note;I noticed something odd in these posts…..Dani?R u also ‘Tim’? ?